As I age, I'm finding that it gets more difficult to be true to myself, forge meaningful friendships, and be vulnerable enough to try (and fail at) something new. The beauty of camp is that it's an excellent opportunity for adults to let their guards down, enjoy being a novice (horseback riding! watercolor painting! archery! ), meet new people, and leave feeling invigorated and refreshed. Really? A Camp for the CrossFIt® community? CrossFitters® are a diverse group with many common interests, but there are relatively few opportunities outside of individual affiliates to celebrate our community, play together, and form friendships. Sure, you get a chance to get to know athletes at your own box, but what about other potential friends who are members at other boxes? If I were a dog, I'd be a shepherd mix. I love rounding up friends and potential friends, and I herd them all into one place. That instinct is at the heart of what we're building at Camp TimeOut. We're creating an affordable all-inclusive opportunity, where masses of CrossFitters and their friends can getaway to play together. That said, everybody is welcome, and I promise you'll enjoy camp. 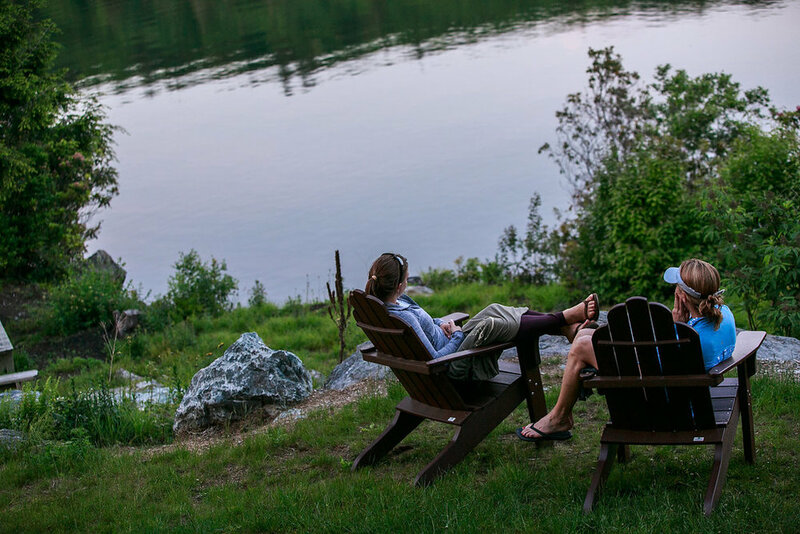 Our strongest theme is definitely activity/fitness, but if folks want to spend the weekend posted up in an Adirondack chair, more power to them. So, what's the point of rounding up adults and having them play at camp for a weekend? The answer is as diverse as each individual. For some, the takeaway is a fitness challenge, for others, it's an opportunity to be challenged socially (roommates?! bunk beds?!). Almost everyone finds a reason to be intimidated about camp, but the sense of achievement after having attended only makes the camp experience sweeter (disclaimer: campers inevitably report that the experience is far more approachable than anticipated). I don't want to overstate what camp means to individuals. I'm not interested in building the weekend where campers "transform" in 48 hours into bright, shiny, new humans. However, reflecting on the first year, it was amazing to watch what happens when a diverse set of adults put away their phones, connect with new friends, chat around a campfire, and peel off stress. Have I convinced you to try a camp weekend? I'll keep working on it!